According to the ancient sages — the lovers of mysticism — the Cosmic Pulse propels a yogi into moment to moment wisdom. This wisdom of ecstasy in the here and now blooms only when we hold fast to universal awareness. How do yogis remain steadfast in this universal awareness? In the beginning of time, the Cosmic Pulse ripped through silence. Yogis call this Shabad. 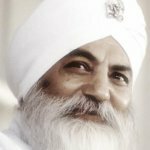 Yogis dissolved into Shabad to merge with the Cosmic Pulse. When yogis dissolved into the Cosmic Pulse, they could hold steady in universal awareness. Every part of your being has a pulse. 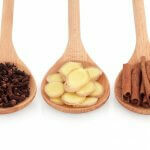 Your navel point pulses. Your heart pulses. Your tongue, your nose, your Third Eye, your crown — all pulse. Though it is all one pulse, our inner pulses get out of sync. 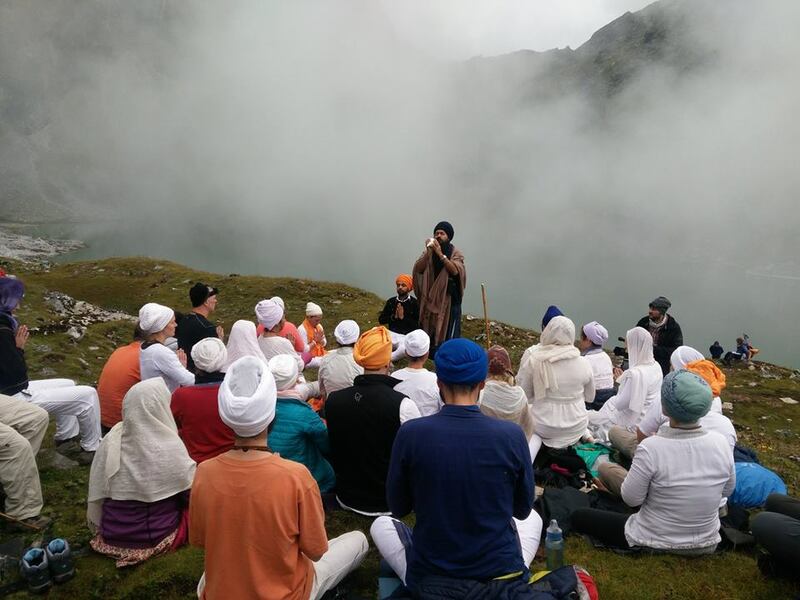 Yoga, meditation, and chanting synchronize the pulses. 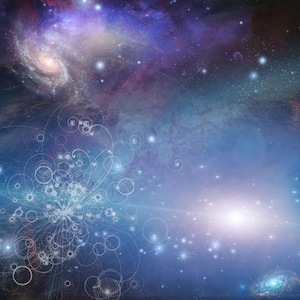 Synchronicity gives access to the Cosmic Pulse and illuminated intuition. When the Cosmic Pulse reaches the realm of the Pole Star, it turns into the Pranic Pulse. When the Cosmic Pulse touches the Pranic Pulse, this is the realm of Naad Yoga. Ancient yogis would weave the Naad into the spine so as to enjoy intuitive ease. Without Naad, we remain trapped in the push and pull of Time and Space. When our eyes are open, we see the weaving of time and space. The right eye represents space. The left eye represents time. The eyes are open and wander here and there, and the inner pulses scatter. But when we close our eyes, we transcend time and space to enter the realm of the mystics. When the focus is on the Third Eye, this is the point inside the body where the Cosmic Pulse touches the Pole Star, and we hold steady in the realm of Naad. When we hold steady in the realm of Naad, we can obey, serve, love, and excel. Effortlessly. The inner cosmos and the outer cosmos align. Obey the pulse of Shiva that synchronizes every inner pulse. Serve the teachings that bring tears of joy to the primal teacher’s eyes. Love the lotus feet of the guru that bloom within every heart. Excel beyond physical realms to experience deep, expansive wisdom. Throughout all your movement through obeying, serving, loving, and exceling, do not forget to witness all. Watch your obedience create synchronicity. Watch your service bring tears of joy. Watch your heart bloom. Watch your wisdom expand. This is the door to the relationship with our cosmic consciousness. To enter deeply into this every day, listen to the Master’s voice on his recording Patience Pays. 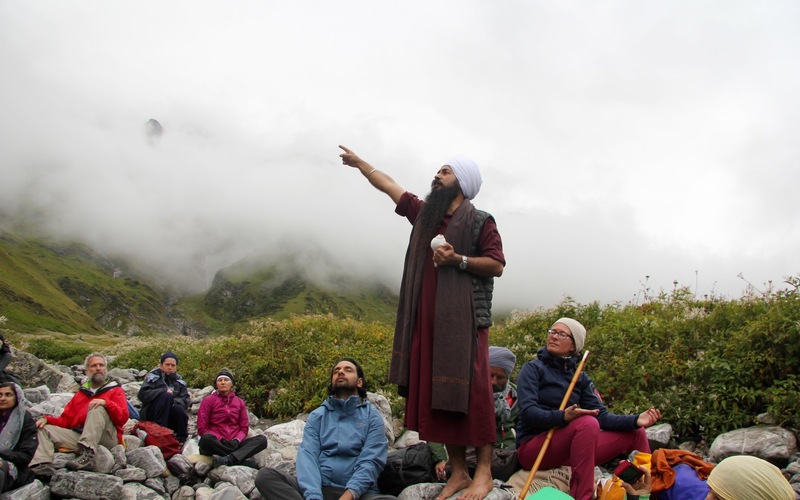 When we relate consciously to the cosmic dimensions of being, this means that we can release ourselves from strict attachment to the technicalities of yoga practice. Instead, create space within the body with asana. Create space in the mind through meditation. Create space in the energetic body through pranayama. Once the space opens up, dissolve into cosmic consciousness. When we relate to this cosmic being, our lives in the here and now enjoy spontaneity and playfulness. Our consciousness begins to revolve around the sense that our Beloved One is holding us, guiding us, dancing with us. When we see all this through the Ever-Witnessing Consciousness, we surrender so thoroughly that now the Beloved is not dancing with us but through us. Move through actions with ease because, really, it is the Beloved One moving. Love your enemy effortlessly because, really, it is the Beloved One doing the loving. We rest in simple peace. In this state we can feel so at ease and carefree. In this state, we sense we are vast and courageous. Even if we were to pass away in this moment or at any moment, we could discard this one particular life with sincere gratitude. If we are given decades more to live, then no matter what shape those years take, we receive all with gratitude. Below is a meditation that Yogi Bhajan called Sahaj Yoga. You can find it described in the yoga manual Infinity and Me. 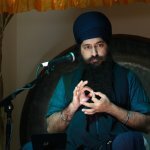 The purpose of this meditation is to focus on your Sushmana (central energy channel) and experience the timeless-ness that swallows all time. 1. Tune In: repeat the Adi Mantra Ong Namo Guru Dev Namo three times. 2. Sit in easy pose with a long, tall spine. Hands rest in your lap, right hand over the left hand with the thumbs gently touching. 3. Eyes are mostly closed, only a crack open to let light move in and out. 4. As you inhale, bring awareness from the tailbone, up to the top of the head, and continue to the tip of the nose; meanwhile, your whole internal being vibrates the mantra Mahan Kal. 5. As you exhale, bring awareness from the tip of the nose, up to the crown of the head, and back down the spine to the tailbone; meanwhile, your whole internal being vibrates the mantra Kal Ka. 6. Throughout the meditation, focus your inner vision on white radiance traveling along the spine. On the inhale, white light rises up to the crown and nose. As you exhale, white light flows down to the tailbone. 7. Mahan Kal Kal Ka is the mantra that connects you with the timeless-ness that swallows all time. 8. Practice for 11 minutes. To end the meditation, inhale and raise the arms up over the head and shake your hands. Repeat this twice more then relax completely. Close with the mantra: Saaaaaat Nam. May you enjoy a refined relationship with your own Sushmana Nadi, and may you embrace all of existence with the greatest ease. Sat Naam! 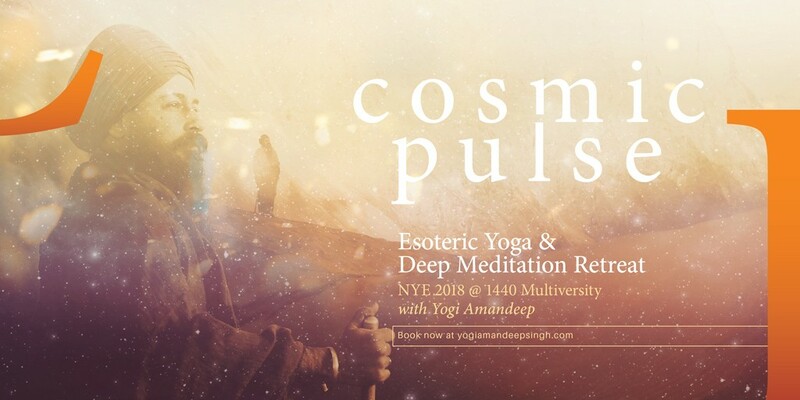 Yogi Amandeep intends to reveal more ancient teachings about the Cosmic Pulse and about surrendering to great stillness in his upcoming New Year retreat at 1440 Multiversity among the Redwood trees of Northern California. Receive wisdom about how to tune in to the pulses in your body, link your pulses into the energy of the Cosmic Pulse, and move beyond every struggle to settle into your creative potential, your cosmic potential. Register here!